This is the start of my second unit for VBCW. So far it's just the command i have done but have made a start on the others. Along with some Glasgow Covenanters so watch this space. Some history behind me do this Unit. 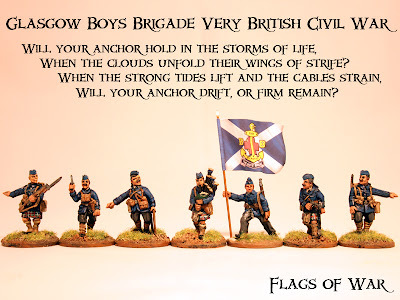 Great stuff, like this one a lot, Boys Brigade go to war! Nice!